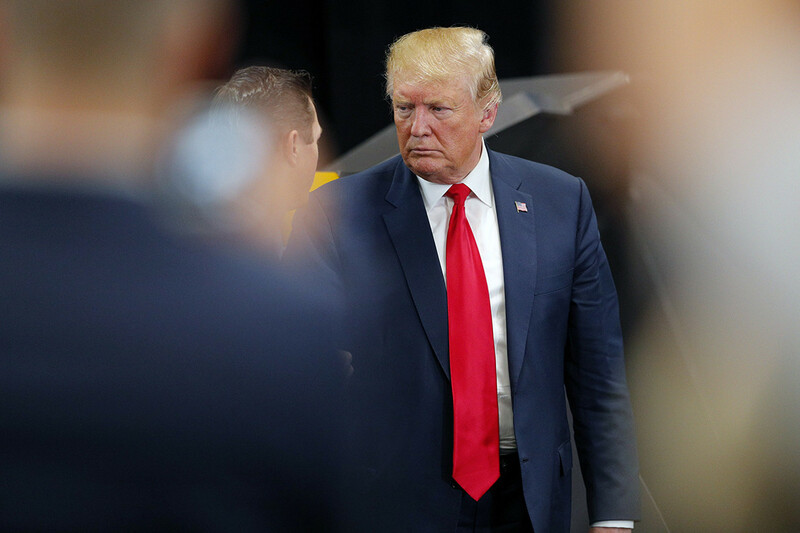 Tuesday’s veto was the second of Trump’s presidency, coming a month after he vetoed a resolution to reverse his national emergency declaration to build a border wall. All Democrats and several Republicans — including Trump allies — in both chambers backed the War Powers resolution amid a worsening humanitarian crisis on the ground in Yemen, where Iran-backed Houthi rebels have sought to overthrow the country’s government. Others voted for the bill as a way to punish Saudi Arabia for the killing of journalist Jamal Khashoggi. In his official veto message, Trump echoed an argument advanced by senior Republican lawmakers and the Pentagon: that the U.S. has never been engaged in hostilities in Yemen counterterrorism missions targeting al Qaeda. The Trump administration has said that backing the Saudi-led coalition is crucial in order to push back on Iran’s influence in the region, a key priority for the president, who said on Tuesday that the War Powers resolution would “embolden” Iran. Last year, the Pentagon ceased in-flight refueling of Saudi aircraft amid the diplomatic row over Khashoggi’s brutal murder in October. “The Yemen War Powers Resolution was a bipartisan, bicameral effort to end the world’s largest humanitarian crisis and supported by some of the president’s most trusted Republican allies,” added Khanna, who called the legislation a historic effort to reclaim Congress’ power to declare war. Trump referenced his vow to wind down U.S. involvement in foreign conflicts abroad, but said the Yemen measure would “harm” America’s foreign policy.